I saw your twin tonight, and couldn’t help but think of you (not the car pictured). Details after the jump. So I guess that’s how I know it’s a 1985 model? As it coasted down the off-ramp ahead of me, I could see the exhaust had been modified with twin pipes, one on each side near the corners. “Let’s hope he modded the engine too,” I thought. This off-ramp ends at a set of lights, and a dual-lane 90 degree turn. Mr. Cutty was in the outside lane. He guns it then leans into the turn. There is an almost unbelievable lack of body-roll as he makes the turn and straightens out. I mean, there was some, of course, but I was expecting malaise-era American sofa body-roll. 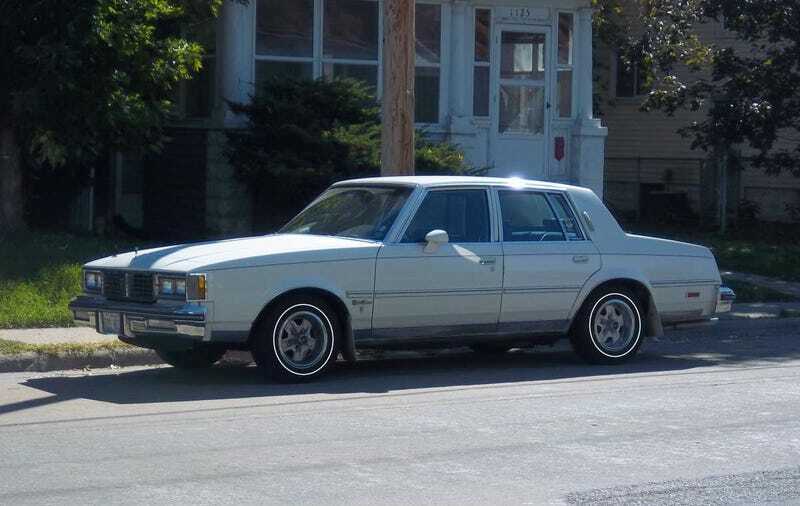 I’ve taken that era Cutlass into the twisties (a high school buddys, a then 10 year old car in the 90’s) and it certainly did not seem to take corners like that. Otherwise, the car looked good and quite distinctive and unique on our roads. The paint was in excellent shape, but I suspect it’s a respray, since the quality of GM paint in the 80’s was as bad as it gets. But it was hard to tell since it was dark.